MSI are well-known within the computer tech industry as a dedicated graphics partner to both AMD and NVIDIA. Their portfolio of expertise reaches into motherboards and has recently even featured peripherals too. Fundamental to the brands success in the graphics arena has been their renowned Twin Frozr cooling solution and inclusion of Military Class components. 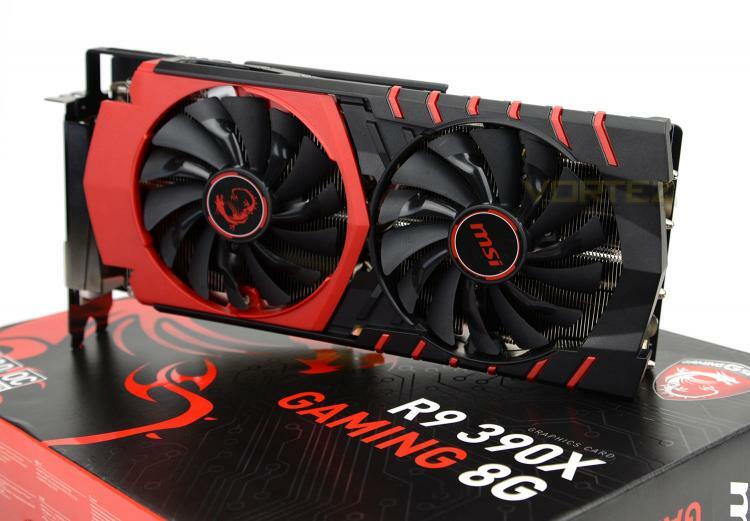 Today we’ll be taking a look at MSI’s take on the new R9 390X, courtesy of the GAMING 8G. This graphics card takes advantage of Twin Frozr V cooling solution and benefits from a factory overclock. Against the 290X to which the 390X supersedes, we have an extra 4GB of GDDR5, an additional 1100MHz on the memory clock and an extra 100MHz for the core clock. This graphics card is designed for high-resolution gaming with the idea being that it will be ideally suited to pair up with a 4K monitor.